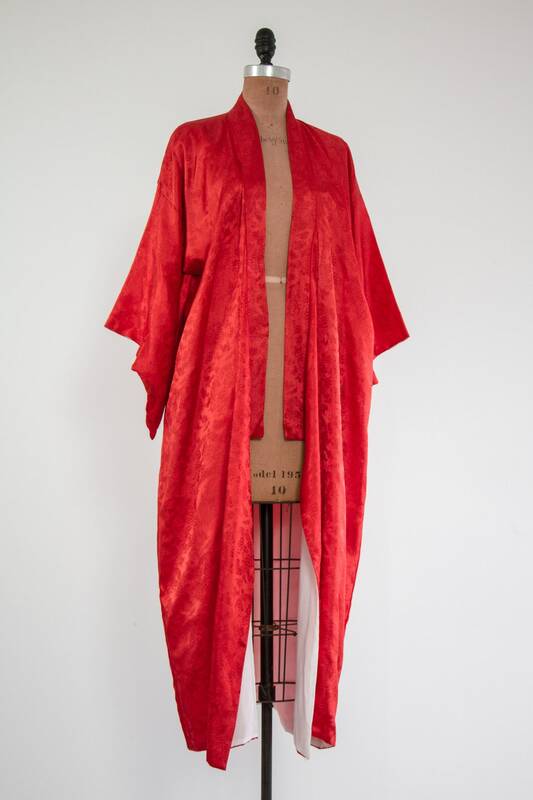 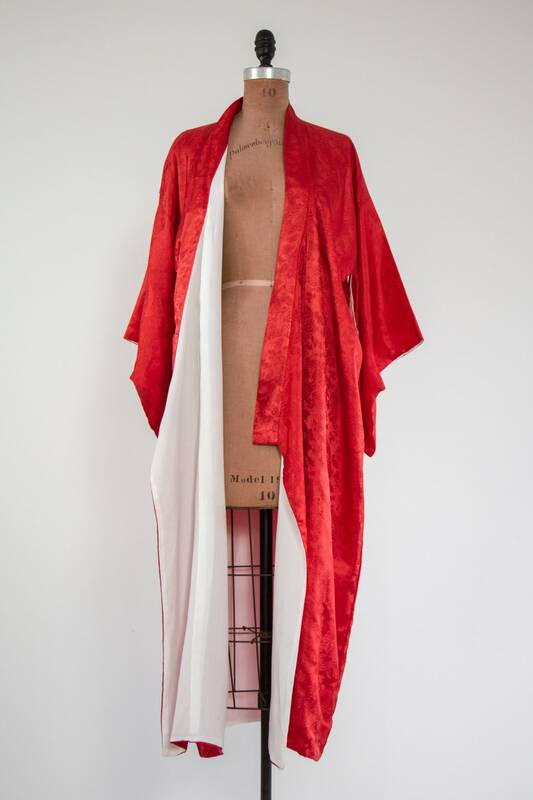 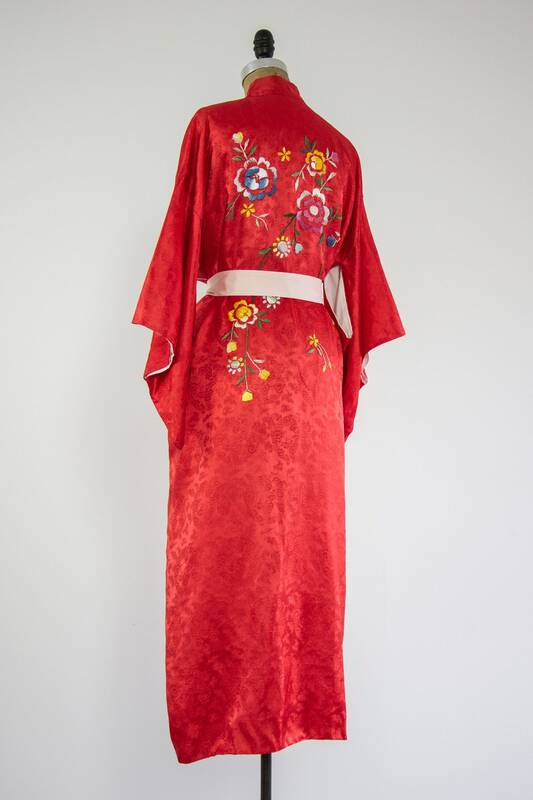 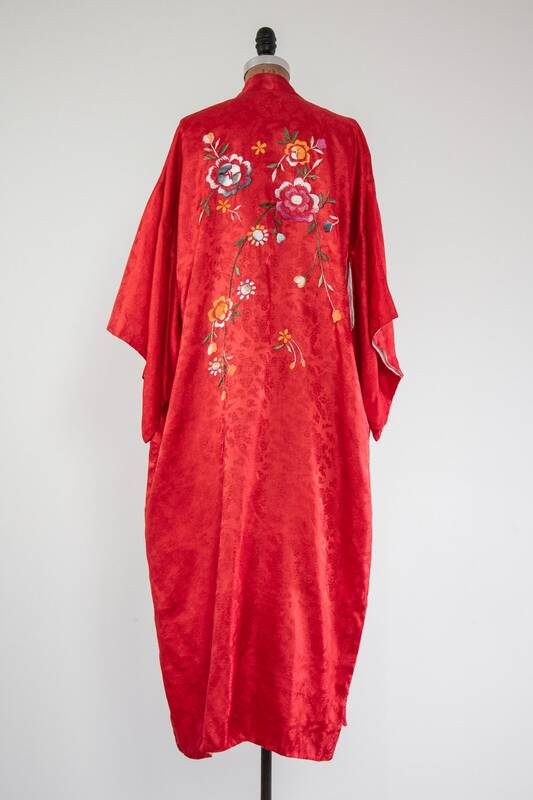 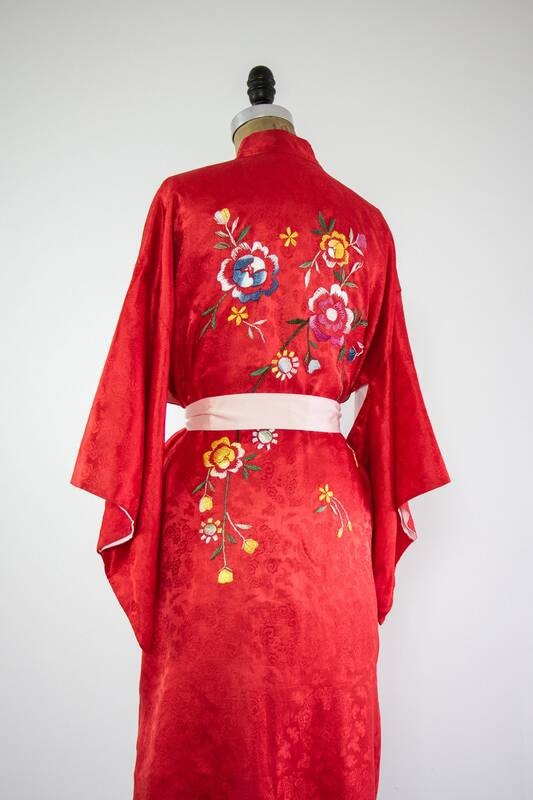 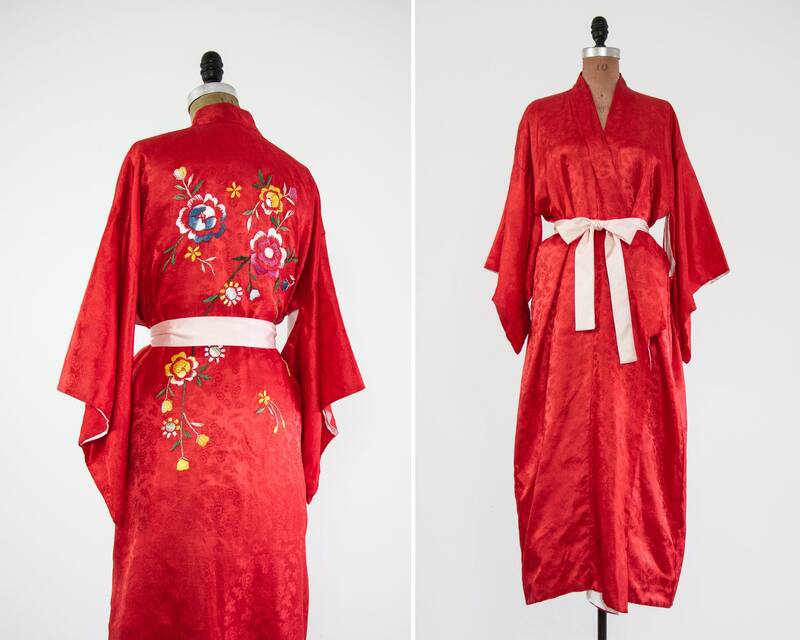 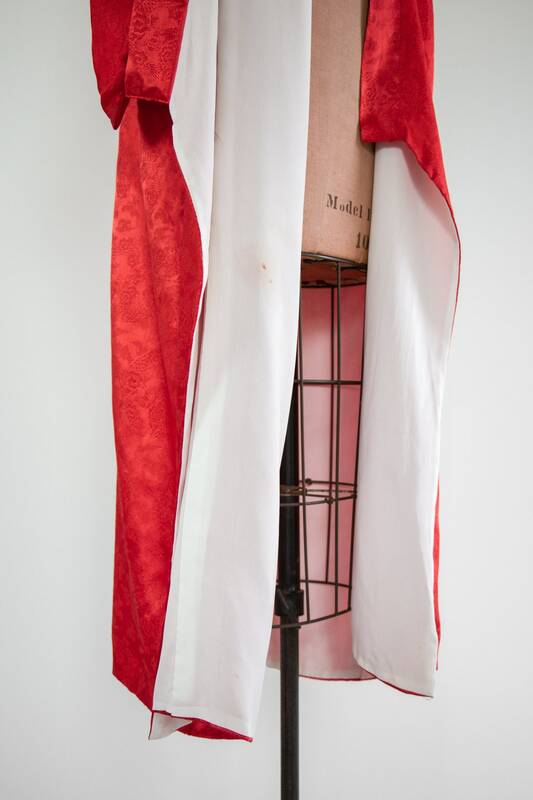 Vintage red kimono robe. 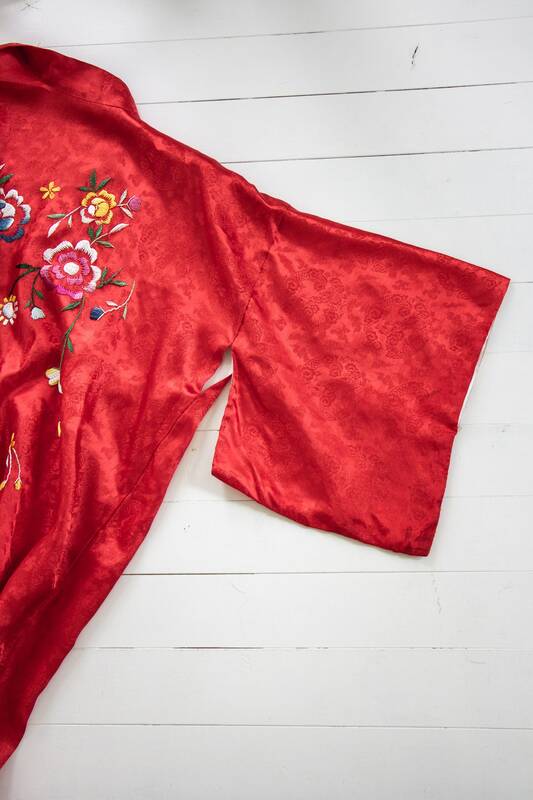 Made from red satin with floral embroidery on the back. 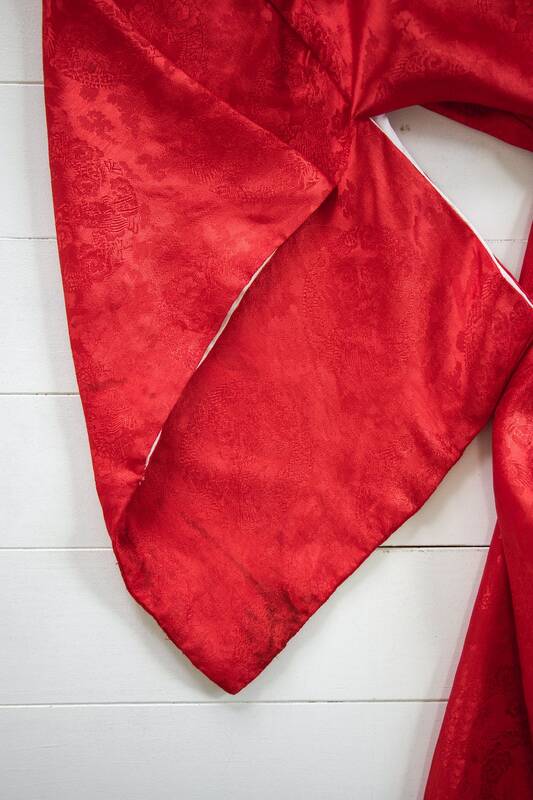 Lined in white. 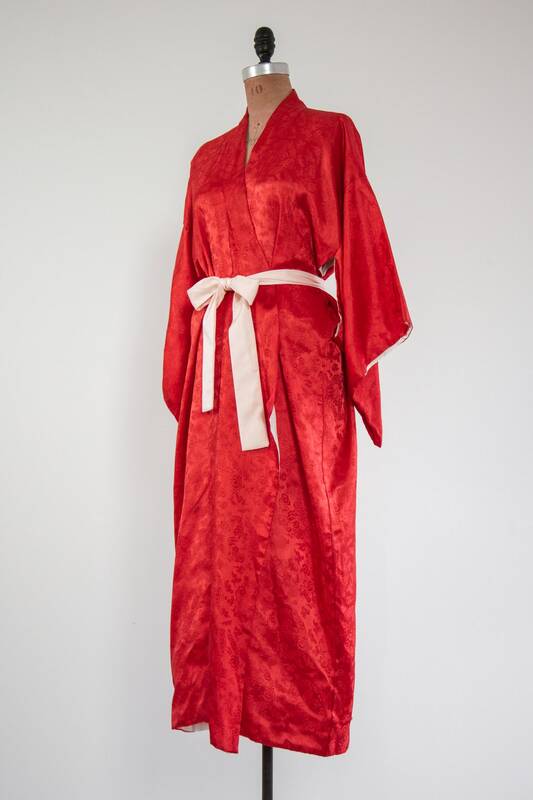 Shown with sash belt, not included.